Building a new home can be exciting and also incredibly stressful. There is a lot of things to do to build the dream home you have always wanted. However, there are some things you should keep in mind. 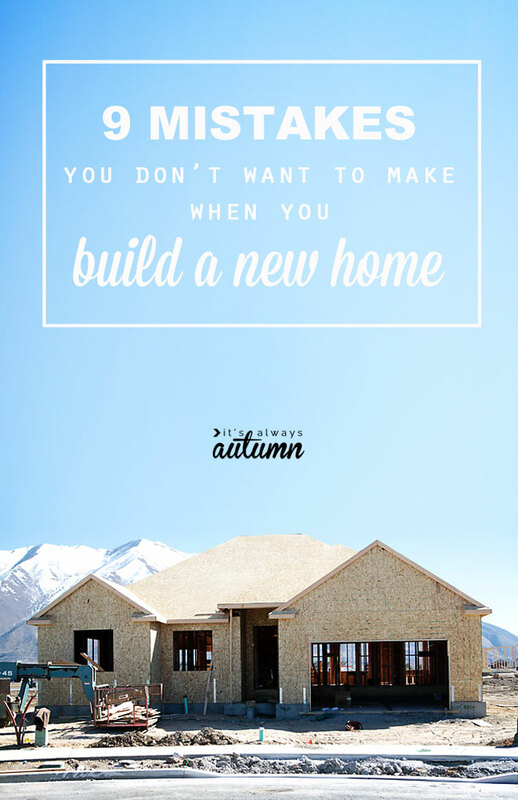 Check out these 9 Mistakes You Don’t Want to Make When You’re Building a New Home at It’s Always Autumn. Some of these tips look over the time of the building project, not everything going smoothly, and never ignoring the builder’s reputation.